Since PINK Newborn Services loves all things baby, today I thought I would remind you about an amazing movie that came out several years ago. 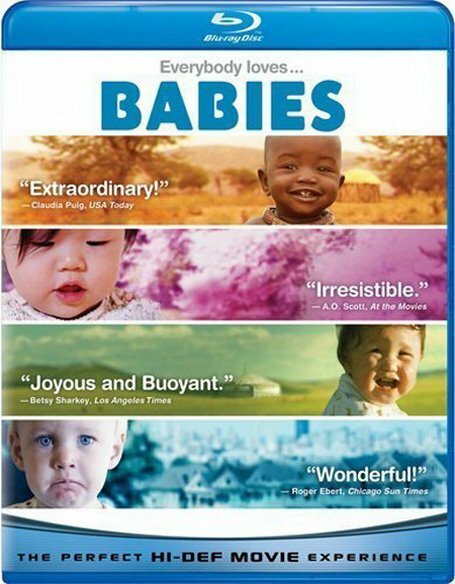 Simply titled “Babies”, this movie follows babies in four different cultures from birth up to their first birthday. When I saw previews for this movie I counted down until the day it came out! It was so fascinating to watch how different the babies’ lives are in different places around the world, yet they achieve the same developmental milestones and learn similar lessons. Please visit the following website to view the trailer and extras from the movie! Trust me, even though there is very little talking during this movie, it is truly fascinating watching the babies grow and learn. There are also several of PINK Newborn Services favorite calming techniques used throughout the film! So I suggest this Friday or Saturday night you get yourself some popcorn, cozy up on the couch, and prepare to be inspired by “Babies”!